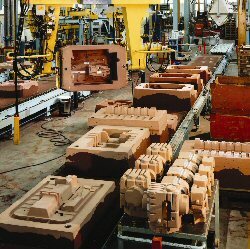 Founded by Giovanni Cavenaghi in 1959 to support foundries with products and processes which have often turned out to be revolutionary, today Cavenaghi, with its plant in Lainate, offers chemical foundry products which are considered a benchmark for quality and reliability. 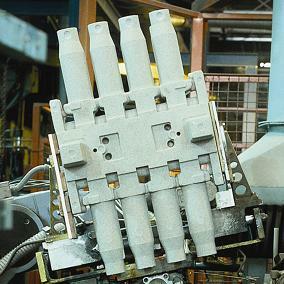 The Cavenaghi production plant includes: nine resin reactors, five organic acid and acetic ester reactors, all managed by a high-level computerised control system to optimise the qualitative consistency of its products. An integrated and certified management system has been adopted by Cavenaghi in order to satisfy the three following aspects: Quality, Environment and Prevention of Major-Accident Hazards. Its ecological vocation allows Cavenaghi to be naturally involved in the search for solutions to customers’ environmental problems, enabling it to offer the most appropriate and environmentally-friendly products. NB 2500 No toxic furan resins (less than 25% free furfuryl alcohol), phenol and formaldehyde free. COROFENTM Phenolic resins cured with an acid hardener. ALCAFENTM Alkaline-phenolic resins cured with sulphur free hardeners. GIOCATM HB Furan, phenolic and furan-phenolic resins for the hot box process. PIROSOLTM Alcohol based thinners for Pirolac coatings. ISOTOLTM Release and cleaning liquid agents. UNIVERSAL GLUE Self drying inorganic glue.